The Hungry Horse News has pretty good coverage of last week’s meeting of Northern Continental Divide Ecosystem grizzly bear managers . . .
At the Northern Continental Divide Ecosystem meeting last week, agencies gathered to provide updates on their fall projects of the predominantly bear-ish kind. 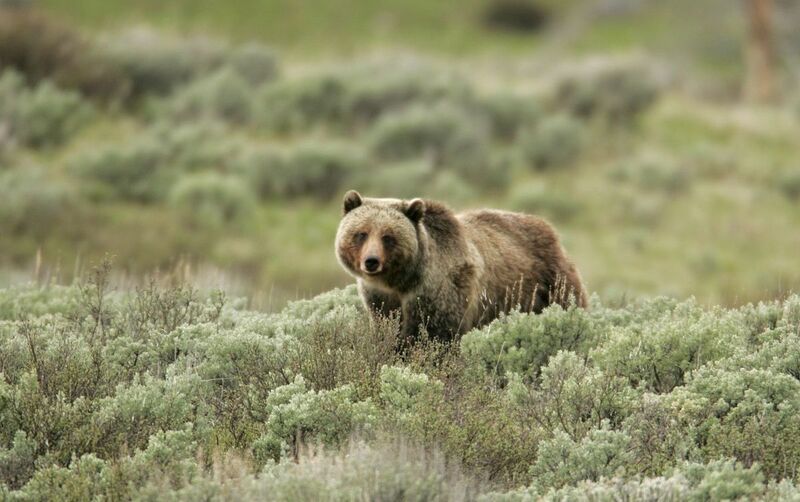 The NCDE is a subcommittee of the Interagency Grizzly Bear Committee, which promotes grizzly bear population recovery across habitats and national borders. U.S. Geological Survey scientist Tabitha Graves from the Northern Rocky Mountain Science Center talked about the bear population trend project she’s been working on.